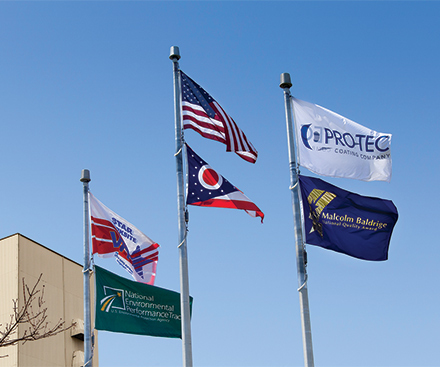 PRO-TEC’s commitment to customer service and consistent quality earned them the prestigious Malcolm Baldrige National Quality Award in 2007. The award is the nation’s highest Presidential honor for performance excellence through innovation, improvement and visionary leadership. PRO-TEC was one of only five companies to win the award that year and the only one to win the small business category (fewer than 500 employees). The Baldrige Award is given by the U.S. Department of Commerce National Institute of Standards and Technology. Criteria for the award include: leadership; strategic planning; customer focus; measurement, analysis and knowledge management; workforce focus; operations focus; and results.